I like these better than actual apricots. As you might have guessed by the name of the product, these little guys are about halfway between dried apricots and fresh apricots. They're sliced very similarly to traditional dried apricots. However, these are also frozen. I think that's why I like them best of any apricot I've ever had. I really like that cold, icy texture. 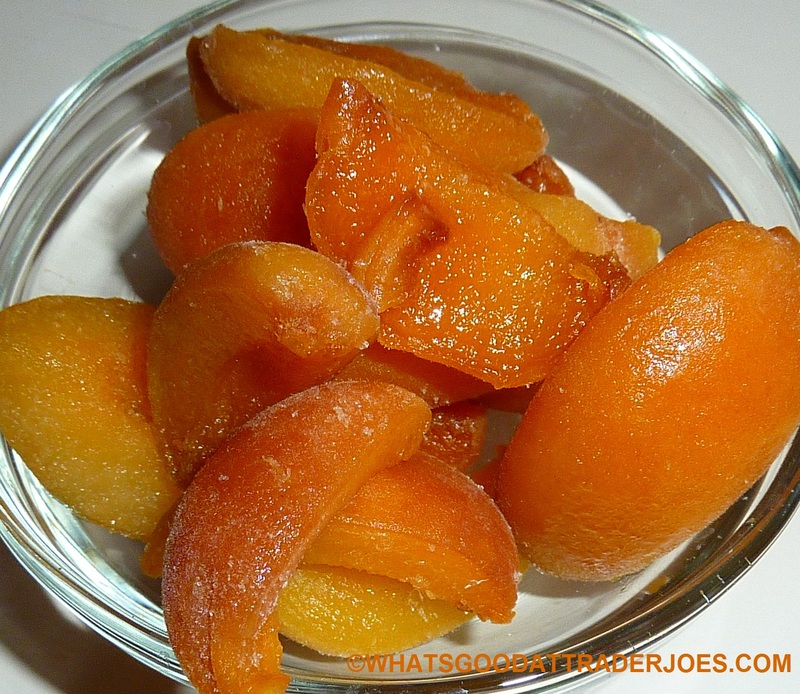 On a recent podcast episode, Russ indicated that he preferred fresh apricots. I'm sure there will be plenty of you that fall into that camp. There's no substitute for the original. 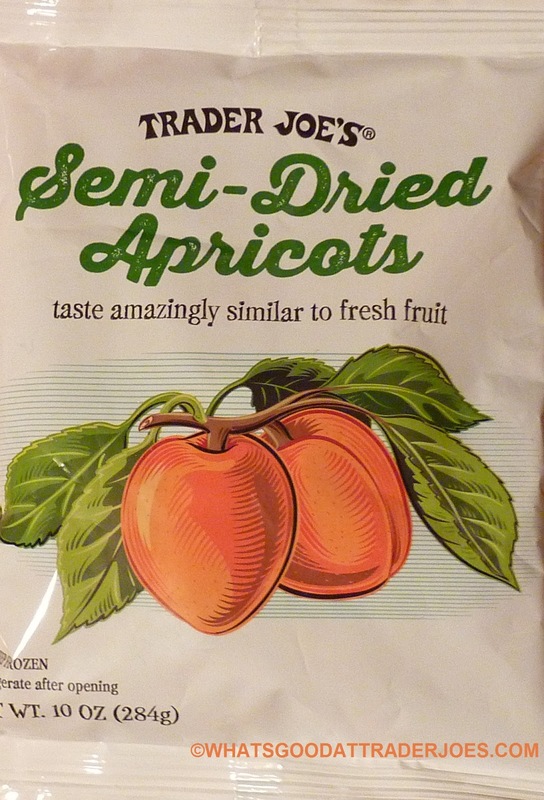 But for those of you that like pre-packaged, frozen fruit or dried apricots, these will undoubtedly be a big hit. Sonia raved about these things. She's going to give them four stars. Don't get me wrong, they're tasty, but I found the quality (at least in our bag) to be somewhat inconsistent. You can kind of tell from our picture there that some slices look pristine and perfectly ripe and others have spots or they're too dark. That slight inconsistency carries over into the taste/flavor category, also. Some slices were perfect, but others tasted a little too sour and weird. In general, though, I think they taste better than they look. I'll throw out three and a half stars here. Click here to view the nutrition info. This will be a good compromise for dried apricot and fresh apricot lovers. Maybe it a great idea for jams. These would make great smoothies. I really liked these! Delicious semi frozen as a snack and very flavorful for when fresh aren't an option. Felt kinda pricey at $4.99/bag for not being organic, especially since I usually buy the cheaper frozen mango that's a bigger bag. 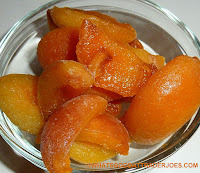 I like dried apricots, never cared much for fresh apricots due to the texture. But these Trader Joe's semi-dried are great. It's like eating candy. I eat them straight out of the bag, just let them set for a couple minutes. Great warm weather treat.